Hotel “Ukraine” is located in the very center of Chernigov in a few minutes walk from the historical part of the town. It is in close proximity to business and leisure centers, shops, restaurants, theaters and cinemas. There are totally 90 rooms of different categories in the hotel: 64 standard single rooms, 9 two-room TWINs, 13 Junior suites, 4 Suites and 1 room for disabled person which can simultaneously accommodate up to 100 guests. Extra beds are avaliable in Junior suites, Suites and TWIN rooms. 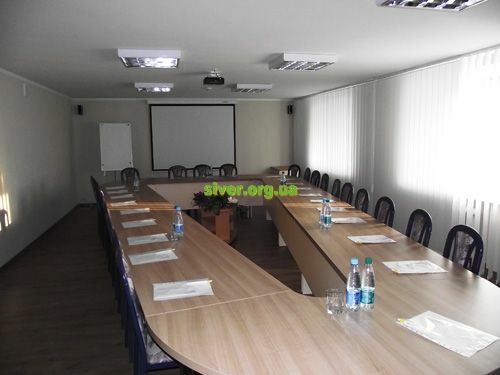 Infrastructure: restaurant, conference room for 30 persons, massage, gym, hairdresser’s, currency exchange, laundry service, cloak-room, paid secured parking lot.